For those of you who missed Apple’s Worldwide Developers Conference (WWDC 2012) in San Francisco, you have a few options on how to get caught up. The first option is that you can go to one of the countless sites that did live blogs of the event, piecing together fragmented updates often littered with empty commentary. The second option is you could watch the event for yourself, which Apple, as it always does, has graciously posted on its website. But do you really want to spend the next two hours watching an event for the highlights that you could get by just reading the rest of this post? Which brings us to the third option: Read this brief recap, and it’ll be like you saw the whole thing. Here’s what you missed. By far, the biggest buzz generator of WWDC 2012 was Apple’s announcement of a new 15-inch MacBook Pro with Retina Display. Calling it “the most beautiful computer we have ever made,” Apple’s Phil Schiller excitedly introduced the latest Mac product to sport the mind-blowing 2880×1800 pixels that made the new iPad such big hit. Weighing in at an impressively light four-and-a-half pounds and now not even three-quarters of an inch thick, the new MacBook Pro comes equipped with a quad-core i7 processor, up to 16GB of RAM, and up to 768GB of flash storage. In addition to its standard SD card slot and USB ports, the new MacBook Pro will also—and for the first time—have an HDMI input. As of today, Apple will begin shipping the new MacBook Pro starting at $2,199. As anticipated, WWDC 2012 also yielded the official unveil of iOS 6, which will be available this fall. However, for you developers out there, a beta version was made available today. Although only some of the new features are expected to be available on older devices, Apple’s new mobile operating system is set to become available for all devices newer than the iPhone 3GS, the iPad 2, and the 4th-generation iPad touch. To start, FaceTime will no longer require a Wi-Fi connection for video calling; however, it’s not certain that all mobile service providers are equipped to bear that burden. Consistent with last week’s reports, Facebook integration is one of the featured upgrades of iOS 6, including a “tap to post” feature that will work allow users to update their Facebook and Twitter statuses without need for an app. The new Maps app is now officially set to replace Google Maps with the iOS upgrade and will feature many of the same features users have come to expect, including turn-by-turn navigation. Siri integration and a 3D mode will also add a nice touch. Siri is also getting a few new upgrades. Most notably, Siri will now be compatible with the iPad and will also be able to launch apps by simply saying the name. Lastly, iOS 6 will feature the all-new app Passbook. Coined as “the simplest way to get all your passes in one place,” Passbook allows users to access everything from plane and movie tickets to rewards cards and coupons. If it’s got a barcode or QR-code, Passbook lets you store it. Despite being the least buzzworthy part of WWDC 2012, Apple’s upgrade of its MacBook Air lineup is hardly worth overlooking. At the very least, it was necessary to make sure that it was keeping up with the upswing in ultrabooks being put on the market. Included in the upgrade are a 2GHz Intel Core i7 processor and 128GB SSD at its baseline—or an impressive 512GB SSD option for those willing to spend a little more. In other words, the MacBook Air has remained at or above the level of its competition in terms of speed and storage. However, the same cannot be said when it comes to the Air’s display, which remained at 1440×900 pixels, and the continued absence of Ethernet and HDMI ports. As other ultrabook makers are updating their display and connectivity features, Apple has largely elected to maintain the same features that its former version had. For those interested in comparing the new MacBook Air to other ultrabook models, The Verge put together a rather comprehensive comparison chart, featured here. 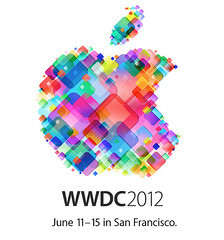 Which WWDC 2012 announcement by Apple are you most excited about? Share your thoughts in the comments below.